This mountain hut, named Serenidad, is located in the picturesque Serene Lakes area. The welcoming cabin features a modern open-plan living room, kitchen, and dining area, with updated appliances. The cabin has large picture windows off the living room, allowing you to sit back, relax and watch the snow fall. The large front deck features amazing views of Serene Lakes and Castle Peak. Serenidad has three main bedrooms; two containing queen sized beds and one with a double bed. The loft above the living/dining area features two twin beds and a double futon. Due to the large number of beds and two bathrooms, this cabin can accommodate two families (8-10 people). 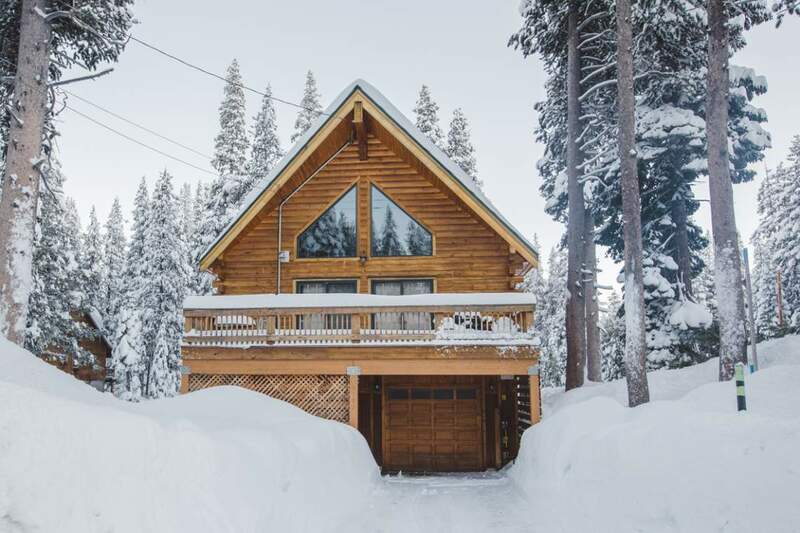 With propane heat and cable TV, this cabin is perfect for your next winter vacation. If visiting in summer, the large deck is perfect for sun baking and the spectacular Serene Lakes are just a blocks away. Close to Donner Lake and the Historic Downtown Truckee and the beautiful Lake Tahoe.